I fell in love with science-fiction at an early age. My adolescent years were spent diving into the works of the founding fathers of the genre: Asimov, Clarke, Heinlein, and Bradbury, among others. One of the primary elements of science-fiction that made me fall in love with the genre is its concern with the big picture. It satisfied my propensity to ask big questions, and strove to provide big answers. The best science-fiction isn’t about weird aliens and giant spaceships and massive explosions. The best science fiction is about what it really means to be human. It’s about what it means to be alive in this universe, about our place both here and beyond the measure of time and space. These themes are beautifully and profoundly expressed by what stands – in my mind – as a triptych of monumental science-fiction films. 1997’s Contact, 2014’s Interstellar, and 2016’s Arrival. There are others I could include (such as Kubrick’s 2001: A Space Odyssey) and I certainly plan to write about Contact and Interstellar in the future. But for now, I want to talk about the third. There are dozens of first-contact stories within the genre. But what elevates Arrival above the masses is that it is not content to be merely clever. It uses its own intelligence as a means, not simply an end. Every part of Arrival is world-class. But the parts create a whole that is so much greater. Arrival succeeds in creating a type of being – the heptapods - and a language – the logograms - that are new, that aren’t simply based on something that we already know or have seen before. That feat alone is quite impressive. Unlike human words and sentence structures – which are framed and sequenced within the bounds of time – these logograms are not. They convey their meaning all at once. It is no accident that the chosen form for the logograms is a ring. A ring is a symbol of the infinite, of eternity, of end and beginning and everything in between existing simultaneously. So the symbolism used in the film is a commentary on the themes of the film itself. Time and meaning. How we forge connections. How we communicate and understand one another. At the heart of Arrival is a beautiful story. But what makes Arrival a brilliant film is the marriage of structure and message, the union of form and meaning. Just as the heptapods perceive their reality unconstrained by the bounds of time, so the narrative of the film breaks with traditional linear structure. We see the end at the beginning. We see the future as the past. And it is only once we reach the final moments of the film that we realize what message the opening moments of the film are trying to convey. Just as the characters in the film must step outside of time in order to truly comprehend the language they are trying to understand – we as the audience must step outside the film in order to see the greater picture. It is only then that we can perceive how the end and the beginning meet. It is only then that the past and the future become one. It is only then that the ring is closed, and we understand what message the film is truly communicating. 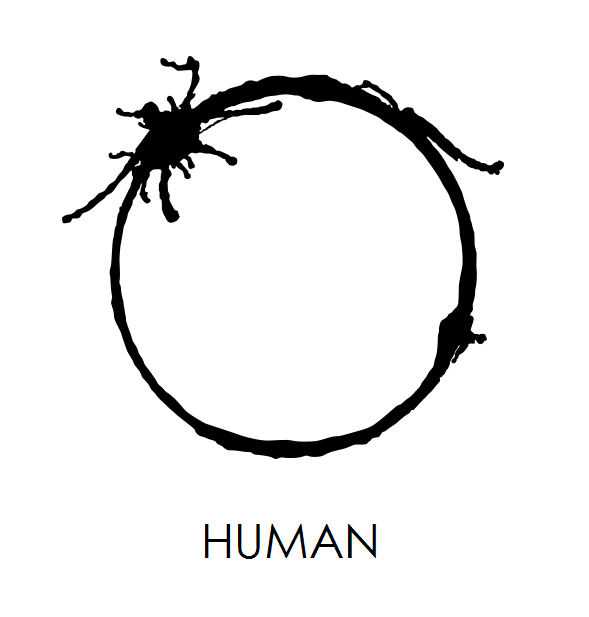 Because Arrival - the film itself - is a logogram. The experience of the audience watching the film perfectly reflects the experience of the characters within the film itself. We come to understand Louise Banks revelation, because the film organically allows us to have the same experience. The message is the structure. The meaning and the form are one and the same. Just as logograms convey their meanings all at once, what if you could step back and see your life all at once, from beginning to end? You could see the shape of it, the contours of joy and pain, the perfection and the imperfection, the absolute necessity of each part. How would that change you? How would that alter the slow winding of your hours, the passage of your days? Would you opt out of the best parts of life in order to avert a potential tragedy? I believe to do so would be to deny our very humanity. For that dichotomy – the dichotomy of joy and sorrow, of light and dark, of triumph and defeat, of laughter and pain – this is the very thing that makes us human. And underneath all the cleverness, underneath the beauty, underneath the awe, Arrival serves as a reminder. A reminder I greatly need. A reminder to look at the big picture. Because when you take a moment and step outside your life, you see that you are part of something that is so much bigger than yourself. Your story is bigger than just you. And it reminds me that life is worth the living. To dare greatly, even if it means failing. To love greatly, even if it means hurting. Because pain is not only an inextricable part of life; it is a vital one. To live through the pain and darkness in order to find the joy and the light. That - to me - is the most human thing of all.